The Lokpal and Lokayuktas Bill, 2013 which was passed by both Houses of Parliament in December, 2013 received Presidential assent on 01.01.2014, and whose provisions have since been notified by the Central Government, has, within a short span of its coming into force now become the subject matter of judicial review. A writ petition has been filed by Sri. P. Subair Kunju, a practicing lawyer in Thiruvananthapuram, before the Hon’ble High Court of Kerala through his advocate, Sri. George Poonthottam, as W.P. (C) No. 4751 of 2014, challenging the constitutional validity of certain provisions of the Central Act 1 of 2014 (Lokpal and Lokayuktas Act, 2014) inter alia, on the ground that these provisions will ‘in effect result in unintentional participation of the judiciary in the executive function, which will have far reaching ramification and negative impact insofar as the independence of the judiciary is concerned’. The petitioner avers in his writ petition that the participation of the Chief Justice of India or his nominee in the selection committee constituted for the purpose of appointing Chairperson and members of the Lokpal when the provision enables the appointment of the Chief Justice of India and judges of the Supreme Court of India themselves, as Chairperson and members of the Lokpal , will vitiate the selection and appointment process apart from being against law as bias is writ large in such an appointment by the Committee thereby rendering Section 4(1)(d) of the Lokpal and Lokayuktas Act, 2014, unconstitutional. The petitioner contends that the inclusion of the Chief Justice of India or his nominee in the Selection Committee is a conscious attempt to make the judiciary a part of the executive function, as the legislation passed is without due deliberations on all aspects by the parliament and the consequences attached to such a process, and that the inclusion of the Chief Justice of India or his nominee, by itself in the Selection Committee will not make the appointment or the appointee a ‘holy cow’ . The petitioner further seeks a declaration that the constitution of the search committee in preparing the panel of persons and the functions to be performed by the Search Committee in identifying persons to be considered by the selection committee which includes the serving Chief Justice of India and judges of the Supreme Court of India is unconstitutional; for a writ of mandamus directing the Union Government not to constitute the selection committee with the Chief Justice of India or his nominee as a member in the selection committee for appointment to the post of Chairperson and Member of Lokpal as provided for in Section 4(1)(d) of the Central Act 1 of 2014, and also for a writ, order or direction from the High Court of Kerala, restraining the Search Committee in considering the curriculum vitae of serving judges of the Supreme Court while preparing the panel for consideration by the selection committee as provided under sub-section (3) of Section 4 of the Central Act 1 of 2014 . When the matter came up for admission before the Hon’ble High Court of Kerala on Monday, Justice P.N. Ravindran admitted the matter and further directed the Assistant Solicitor General of India, Sri. 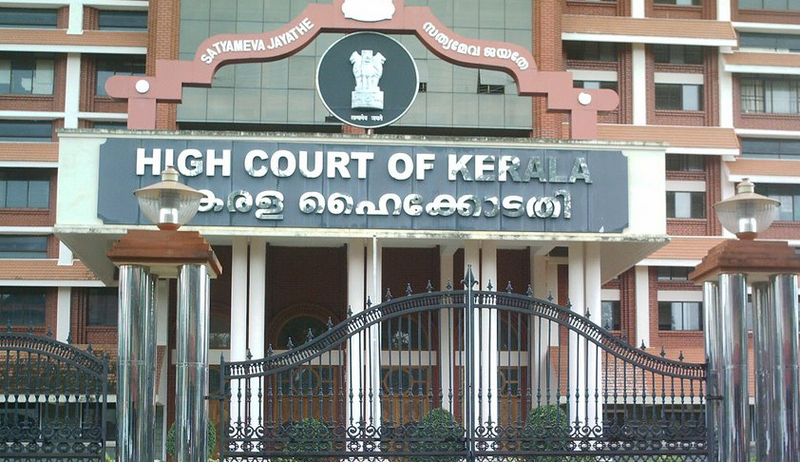 P. Parameswaran Nair, who took notice for the respondent (Union of India), to file a counter affidavit, if any, within a period of month, and posted the matter to 27th of March, 2014 as Item No. 1 in the admission list of that court. Though the petitioner had, as an interim relief, sought for an order restraining the Search Committee from considering the curriculum vitae of any serving judge of the Supreme Court for the post of Chair person or member of the Lokpal and submitting their names to the selection committee, pending disposal of the Writ Petition, the High Court did not pass any interim orders in the case. It might be pointed out in passing, that Justice K.T. Thomas who retired as a judge of the Supreme Court of India in 2002, has been appointed as head of the 8-member Search Committee which will be preparing a panel of persons to be considered for appointment as Lokpal and its members and submitting the same to the Selection Committee which will take a final call in the matter. The other members of the search committee are eminent jurist and senior advocate Fali S Nariman; the former Chief Election Commissioner, S. Y. Quraishi; the principal of Lady Shri Ram College, Delhi, Meenakshi Gopinath; educationist Mrinal Miri; the former Chief Secretary of Andhra Pradesh, Kaki Madhava Rao; and senior journalist and Rajya Sabha Member H.K. Dua. The case, as is to be expected, will have significant and far reaching ramifications, should the High Court of Kerala strike down Section 4(1)(d) of the Central Act 1 of 2014 as unconstitutional, and will hence be followed closely by the legal fraternity and political establishment.